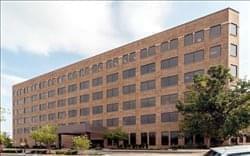 Find My Workspace lists over 95% of the executive office suites market in Lisle. Simply click Request Quote to check pricing for one office, or Add to Basket for multiple offices. This executive business center location is set within a contemporary new build out with a large range of amenities. On-site gym membership is included, high speed internet and utilities are also provided, with high end furniture with optional sit-stand desk, a community kitchen with complimentary coffee facilities and complimentary tea and hot chocolate for all occupying tenants. Professional company signage is available for all clients at no additional cost, making this site ideal for tenants with any type of corporate workspace requirement. The office suites available offer quality, comfort and a vibrant working environment. To obtain information for your selected Lisle Executive Office Suites, please tick the "Add to basket" box for each office you prefer and complete the form below. We will then send a detailed report via email.